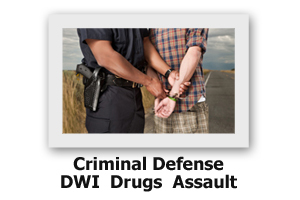 Have you been charged with DWI (Driving While Intoxicated)? Attorney Connie Sullivan has been representing clients facing criminal charges for 30 years. He has represented countless individuals charged with drunk driving charges and has one of the highest percentages of "not guilty" verdicts in our area. Attorney Sullivan is well known by our area police departments, prosecutors and court personnel as an effective criminal defense attorney. If you are charged with drunk driving, drug charges, assault and battery, violation of a restraining order or violation of probation, you need an experienced attorney with a proven record of success. Call Attorney Sullivan for an attorney you can count on!